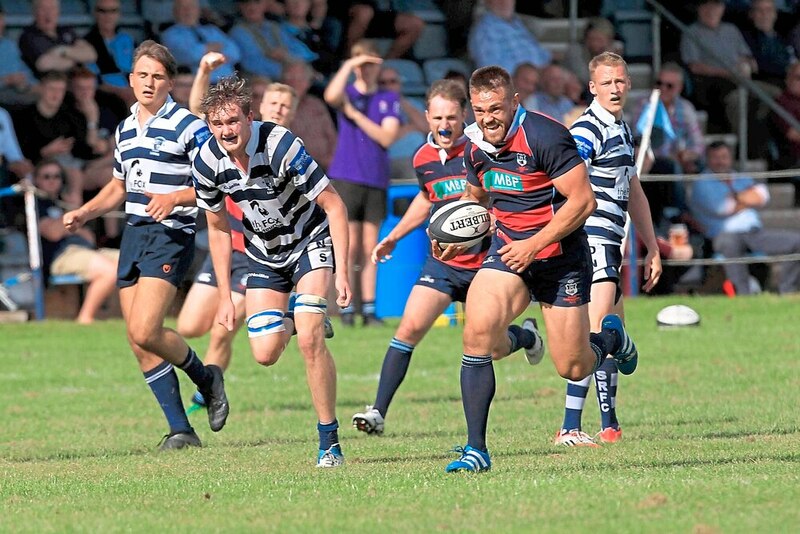 Dudley Kingswinford opened their season in the Midlands 1 West with an impressive 45-12 over derby rivals Stourbridge Lions, who last season were promoted to the league. The win was a great start to the season, but it was made even sweeter with DK claiming the local bragging rights, much to the delight of coach Neil Shillingford. “We were very pleased with the win, we managed the game well,” he said. Lions, who won promotion last season, found it tough going at Heathbrook. DK’s Sam Pedley opened the scoring with a try, just before the 10-minute mark. Ryan Smitheman made an important tackle to stop Lions scoring and preserve DK’s lead, and he turned scorer by adding a try to make it 10-0 at half-time. Stef Shillingford made it 15-0 with a try after the break with Jordan Brookes adding the conversion. Arran Hudson was next up to score for DK, with Nic Adams landing the extras. Stour hit back with a Nick Mann a try and conversion to make it 24-5. But Pete Griffiths ensured DK maintained a healthy lead with another, with Adams stepping up to score the conversion make it to 31-5. But Lions responded with a converted try from Josh Rowley to reduce the deficit to 31-12. However, DK finished strongly with a penalty try before Ben Brown then crossed the line, with Adams again successful with the kick. Next up for DK is a trip to Sutton Coldfield on Saturday. Elsewhere in the league, Wolverhampton started the season with a heavy 52-0 loss at Burton.